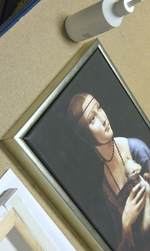 Win a free, day's training (worth over £150) with DIYframing in High Wycombe. We all have our own ways of doing things that work well, or we use a product or gadget, not usually associated with picture framing, which just seems to do the job perfectly. Trawl through some of the ideas you have picked up through your framing and share them with us. Send us your best Framer’s Tip at info@diyframing.com (subject Framer’s Tip): explain it in under 50 words and, if selected you could win a free framing day, chosen from the sessions available on our High Wycombe Business Development Week, running from 15th – 21st November. Entries are limited to 1 per person (no purchase required) and must arrive with DIYframing via email no later than 5.00 pm on Friday 31st October 2014. Shortlist and final selection will be made prior to the winner being notified on Tuesday 4th November 2014.The prize is for the advertised course fee only: associated personal costs incurred through attending the chosen training day(travel, accommodation, subsistence) will have to be met by the winner. This prize cannot be redeemed as cash or other goods and is not transferable to a third party. Posted on: 16-Oct-2014@07:49:45, updated on: 16-Oct-2014@07:49:45. If you place a product order online, before start of trading (9.00 am) Monday 20th October, with a value of more than £100.00 (before vat & carriage costs are added), you will receive a £10.00 voucher, which can be redeemed against a future order within 3 months. NB this offer does not apply to items with existing special offers or kit sales. Posted on: 16-Oct-2014@07:48:36, updated on: 16-Oct-2014@07:48:36. A massive source of frustration for many people has been how to assemble a mitre trimmer measure system and attach it to the Mitre Trimmer. The instructions in the pack are not very clear (at all!). We have managed to sort out the best way to put it all together, ensuring that pieces line up, are level (where they need to be) and fit securely. The secret is to follow a specific set of sequenced steps: these now feature on our latest Handy Hints Sheet 45 – Assembling a Mitre Trimmer Measure System. NB if you can’t access this sheet directly check that you are registered to receive our FREE support material. In celebration of our latest Handy Hint Sheet you can buy a mitre trimmer and measure system for just £180. This only applies to orders placed before 9.00 am Monday 20th October 2014. Posted on: 16-Oct-2014@07:46:26, updated on: 16-Oct-2014@07:46:26. The Open Day was a great success and the seminars received their largest audience so far. This time all of the themes illustrated in the two sessions were taken from ideas proposed by yourselves, with three customers winning gift vouchers for their range of ideas, which were explored and demonstrated in detail. As so many of these addressed the “fiddly” issues that most of us come up against from time to time, and are not part of the usually described “main-stream elements of mount cutting & framing, they make particularly useful additions to the gradually growing library of free resources available to our customers. For those of you unable to join us at the Open Days, here are links to elements of the sessions about which we already have materials and notes about what may become available in the longer term. NB to access these materials you will need to be signed up as a member of DIYframing: a free process, open to all and with no future payment details etc required! Fillets & Slips have been covered in different ways through our range of resources. For an overview see HH Sheet 29. There is more detail about the use of slips in a mount in our Solid Gold, Project 6b sheet with another version using a flat, limed slip moulding in Six of the best, Project 8 (option 5). 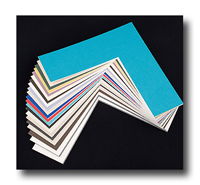 The more formal features of creating colour wash lines, fills and decorative tape strips with mitred corners have yet to be featured in any support materials although they have, in the main, been featured in our Master Class training weekends. Although not demonstrated in any detail, we did also look briefly at some ideas behind framing medals in frames. Again, if this is something you wish to do, have a look at where we have featured these in two projects: Star Framing, Project 5 & Military Memories, Project 11. You probably won’t wish to replicate the projects but there are many key elements illustrated that may well be of use. Posted on: 14-Oct-2014@07:55:59, updated on: 14-Oct-2014@07:55:59. This may be your last chance to book your place on our November Business Development Week. The first two days are our Art & Photography Framing Weekend, 15th & 16th November. After that, the sessions start to take your practical skills much further as well as developing your understanding of how a framing business can work (large or small). 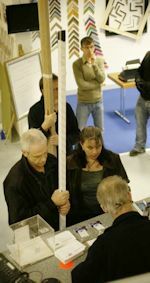 And because all sessions are run by trainers who are owners of their own framing businesses at the heart of a successful framing warehouse and commercial workshop, you will just absorb the knowledge. Follow the links and discover how far you can take your framing skills this year. Organising & Planning a Framing Business (November 17th): understand the work of a framer, workshop organisation, pricing system development and the process from taking an order through supplies to return of the finished frame. 3D Box Framing (November 18th, High Wycombe): for items too large to fit in deep rebate mouldings, discover how to build a box, line it, attach in the item and then add a frame – simple! Conservation Framing (November 19th, High Wycombe): discover when to use a conservation approach to framing, what products are needed and the specific skills required to take your framing to a higher level. Framing Fabrics (November 20th, High Wycombe): as well as the additional practical needs of framed fabrics, this will bring out the creative side to your framing. Creating Business Success (November 21st): now you have the skills, how do you develop the order book, discover new markets and develop your own framing products? Duncan McDonald, owner of DIYframing, takes a day out to explain. Posted on: 14-Oct-2014@07:44:13, updated on: 14-Oct-2014@07:44:13. Posted on: 30-Jul-2014@13:52:18, updated on: 30-Jul-2014@14:09:14. Silver mouldings really make a statement. They give a contemporary, clean-cut look, work well with a whole range of photography and bring a real “designer” edge to all sorts of prints, posters and painted art. 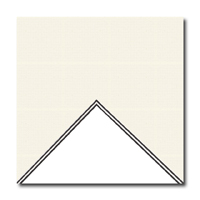 Silver Leaf Cushion - M2045SR @ £2.52 inc vat per metre (usually £3.02): a bright, eye-catching moulding provides a distinctive edge to your work. We have featured it in many of our exhibition presentations and projects. You could use it as we did in our Project 12b with a simple v-groove or with an inlay mount (illustrated here), details of method can be found in Project 12a. Silver Leaf Flat - M2010SR @ £7.73inc vat per metre (usually £8.59): a highly striking moulding with strong dimensions, bright leaf metal effect face and black edges bring a wow factor to all sorts of work. With a rebate of 18 mm, you can develop a whole range of designs for your projects: deep bevel mounts; slip mounts; spaced, layered mounts; memorabilia … the list is endless. Posted on: 30-Jul-2014@14:02:51, updated on: 30-Jul-2014@14:09:02. Look out for more details on the website over the next few weeks. A constant of these days have been some framing / mount cutting seminars. We will be holding these again but as yet haven’t set the titles. This time we are asking for your ideas for what we can help you with. You can suggest items that are quite basic to framing / use of kit through to specific techniques you are unclear about. They can be items we have run before but that you would like to see again, items you have seen on our Handy Hints / Project Sheets but you would like to see in the flesh. If you have ideas, please send them to judy@diyframing.com and we will select some projects that we can show within the time scale and which work together well. All ideas must be in by Friday 15th August. Posted on: 30-Jul-2014@14:00:24, updated on: 30-Jul-2014@14:08:44. There are so many Logan Cutters to choose from and it can be really difficult to know which one to go for. On our training sessions we feature the Logan Elite 350-1. This is perfect for those who probably will be working with images no longer than about 50 cm: plus it is comparatively inexpensive. But, if you need more versatility to cater for image sizes around the 80 cm mark, you’re clearly going to need a bigger cutter: the Logan 450-1, Artist Elite is the perfect upgrade. Many of those on our training sessions opt for the 450-1 over the Compact Elite as a way of “future proofing” their purchase, without having to break the bank. Angie Hopgood, who trained with us in Exeter this spring, was really enthusiastic after buying and using her Logan 450-1, so we asked her if she’d be happy to have her comments featured. Posted on: 30-Jul-2014@14:08:07, updated on: 30-Jul-2014@14:08:07. Tim Rees decided to hang up his handy wrap roll when he retired from DIYframing at the end of June. A chance meeting some time ago, led to Tim joining the team, newly established at the Woodlands Farm, Beaconsfield site. He has been instrumental in setting up and developing the sales outlet there and then at our current warehouse in High Wycombe. After over eight years with us, he will be greatly missed by all at here and the many customers who liked and trusted his expert advice. We wish him well with any new ventures. This means that we now have two recent additions to the DIYframing staff: Ben and Kieran. Some of you will already have met them either in the store or over the phone. Right away they have become a real asset to the DIYframing team and we hope they will enjoy their time with us and wish them well as they pick up Tim’s baton (handy wrap roll and glass cutter). Posted on: 30-Jul-2014@14:05:39, updated on: 30-Jul-2014@14:05:39. Many of you reading this newsletter will already have trained with us completing our Basics of Framing & Mount Cutting & Decoration modules. Between now and Christmas there are 5 more, practical modules taking place. It’s worth following the links to find out more and see how far you can take your framing skills this year. 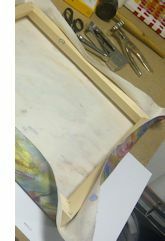 Adding Decorate Finishes to Frames (October 3rd Manchester): preparing mouldings ready to take frame finishing products and then trying a wide range of products and techniques to produce a unique look for frames. Posted on: 30-Jul-2014@13:57:13, updated on: 30-Jul-2014@13:57:13. During a recent training workshop we were asked if it is possible to hire the training room area and kit in order to practise framing skills ahead of buying all the equipment. The customer in question is not able, currently, to set up a workshop but is keen not to forget what he had learnt. In fact we have, at various times, formally offered that scheme over a number of days. If you are interested in pursuing this option, have a look at the information below and then contact us for possible dates and costs. You can have the chance to hire a work space in the All About Framing training room to help you develop and hone your framing skills. You will have access to a work bench and all of the framing hand tools used on UK School of Framing training days. All products used in any projects undertaken must be purchased from the DIYframing store. This workshop opportunity is aimed at anybody who has trained with us and wants to use kit and manage a project for themselves possibly ahead of buying their own kit. It also suits people who have projects to do but haven't the space or full range of tools needed to complete them at home. There will be support available in the forms of training manuals, handy hints sheets: NB members of staff will be on hand purely to help source materials and kit. HOWEVER, please note these are not training sessions and staff will not be able to explain how to use equipment in detail nor demonstrate how to develop a framing project. 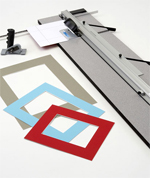 It is essential that anybody booking workshop time has completed (at least) a UK School of Framing Basics of Framing training module and ideally a Mount Cutting & Decoration session. advice about location of (& purchase of ) materials and full product range from the DIYframing store. Posted on: 27-Jun-2014@07:01:38, updated on: 27-Jun-2014@07:01:38. The Photography Show is the brand new exhibition dedicated to the world of photography. Taking place from 1-4 March 2014, this is the perfect forum for professional photographers, enthusiasts, amateurs, mobileographers, retailers and anyone who operates within the photography industry. There will also be expert staff on hand to demonstrate the kit, mount cutting & framing techniques plus advice / information about our full programme of picture framing training: places can be booked at the show. Posted on: 15-Jan-2014@12:10:07, updated on: 15-Jan-2014@12:10:07. Stretching and framing canvas-based art, for yourself, is a great way to save money. The skills are quite simple and easy to get right quickly, so there shouldn’t be any reduction in the quality of how your finished work looks. By showing you the underlying techniques and reasons for them, the skills you acquire also ensure you know how to care for work in the longer term. If you have artwork on canvas needing a new lease of life or enjoy producing images on canvas either for the home or sale, it’s well worth finding out how to do it yourself. And, if you frame for other people, there is no doubt that this will be a project you are asked to undertake on a regular basis. March 31st 2014, High Wycombe, 10.00 am – 5.00 pm. Posted on: 15-Jan-2014@12:06:41, updated on: 15-Jan-2014@12:06:41. 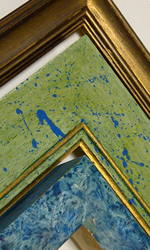 With the arrival of the new metal effect paints from Liberon and the fast approaching Adding Decorative Finishes to Frames training day (see below), we decided to take another look at our Frame Finishes kits. In the years since first putting them together, we are much more aware of what products are used most, along with the additional items that make working on natural wood mouldings more effective and more practical. As a result the range and balance has altered in the two kits: the larger kit is more geared towards the practicalities of creating your own finishes on a regular basis. We can guarantee that you will have great fun learning about the basic principles of preparing a frame / moulding for decoration; discover useful ideas about art effects; and an essential overview of products available and how they are used. More importantly it’s good fun making a mess! Posted on: 15-Jan-2014@11:59:10, updated on: 15-Jan-2014@11:59:10. While we wouldn’t want to take full credit for the number of businesses started after training with us, where picture framing is at the very heart of what’s on offer, we do know that the UK School of Framing Business Development Week has been a vital element in providing people with the confidence to make their ideas work. The Business Week programme is pretty comprehensive:on the two business days there's a massive amount of information, offering tried and tested ideas about setting up your own business; during the practical days, you learn how to undertake more, specific types of framing. BUT, in addition to the expected ideas, there are the extra ones of your own, sparked off by passing comments and triggering thoughts of what would work in your own area of interest or locality. Then, there are the conversations you have with the other people working alongside you: throughout the week you are bouncing ideas back and forth, through all of the sessions. In the end you come away absolutely fired up, ready to go with a ready made support network. A great example of somebody putting that into practice is Andy George, down in Cornwall, with Edgemoor Framing. We presented a Case Study about how he set up his new business: now, less than a year down the line, things have really taken off. Having seen for ourselves what he has been up to on Facebook, it is well worth visiting Andy’s Facebook page for a bit of inspiration. Andy George completed a Business Development Week at High Wycombe in November 2012. Posted on: 15-Jan-2014@10:36:37, updated on: 15-Jan-2014@10:36:37. Re read past news items from our archive.